Formula 1 CEO Chase Carey’s positive inclination towards the return of the Indian Grand Prix last week has induced optimism among the sport’s fans in India. Carey insisted that the sport’s new owners hold India as an important market to grow the sport in, along with the United States. This is despite a pending tax bill of approximately $15 million that the Supreme Court of India has directed the sport to pay towards their earnings from the Jaypee Group (promoters of the Indian Grand Prix from 2011-2013) as ‘race hosting fees’. However, is Formula 1 in its current state capable of re-entering India and holding market position like its European counterparts? In the recent past, Asia has been one of the biggest market failures for the sport to capture with exits in India, Korea and Malaysia (in 2018). China has only just managed to hold on despite lack of interest from the local fans. Here are few changes that we believe that sport needs to undertake before reconsidering India as a key market. During the Bernie Ecclestone era, Formula 1 didn’t believe in marketing itself — whether in the new markets or the old. The result? Lack of local interest, engagement and attendance leading to mediocre ticket sales and empty stands, impacting the sport on television and the earnings of the local promoters. During the previous editions of the Indian Grand Prix, majority of the marketing efforts and money were invested by the Indian Grand Prix, Force India F1 Team, their sponsors and Indian sponsors of other teams (Amul-Sauber, Vodafone-Mclaren, Red Bull, etc.). However, the new owners of the sport (Liberty Media) have realised that the sport would need to market itself consistently to maintain global interest among the correct demography. Their associations with Snapchat and hosting of the F1 Live in London events are steps in the right direction. For India, there is a small, but a strong base of purists that follow and promote the sport ardently. However, this base isn’t enough to fill the seats at the Indian Grand Prix year-on-year. The sport, the teams and the sponsors will have to put a cohesive effort to get the casual followers more inclined towards following the sport and attending the race. The official broadcaster in India (Star Sports) is often blamed for not giving the sport a priority status. However, the sport can’t rely on the broadcaster alone to create intrigue and increase followership across a market of billion people. Formula 1 is complex product — for Indian fans and otherwise — and the hybrid-turbo regulations have added to it. In fact, we could probably take it a step further: that it is more complex for the Indian audiences (we are referring to the casual followers) to understand and follow. Let’s remember, the Indian audiences are used to following sports such as Cricket, Football and Kabaddi — sports that have easy rules to understand and are fast paced (perhaps with the exception of Test Cricket). 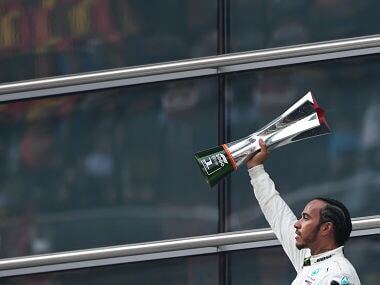 While a two-hour-long race matches the duration of the other sports, in the recent times, more often than not, has Formula 1 delivered processional races that have been plain boring. 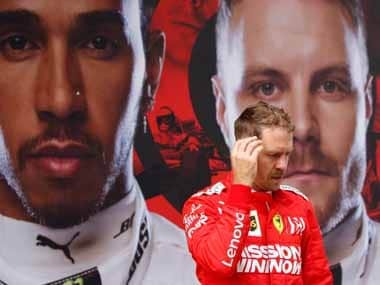 While the Sebastian Vettel vs. Lewis Hamilton battle this season would interest more fans, the sport needs to consistently work on making sure it delivers a competitive grid race-on-race. For the previous editions of the Indian Grand Prix, the organisers worked hard to offer a weekend of sport and entertainment (via various musical acts) and this model should be followed to attract more audiences – ones that wouldn’t necessarily attend the race for Formula 1 alone. 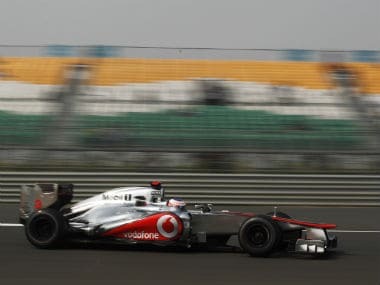 The Jaypee Group has two years left in its original five-year contract with Formula 1. However, the track either needs a overhaul before the race returns, or Formula 1 could consider a new venue. The Buddh International Circuit has some of the best paddock facilities in the world, but the racetrack is wide in areas it should be narrow and vice-versa, possibly adding to the boring quotient. Also, Jaypee Group’s financial woes are public knowledge, leading one to question if they can afford to host Formula 1 again. 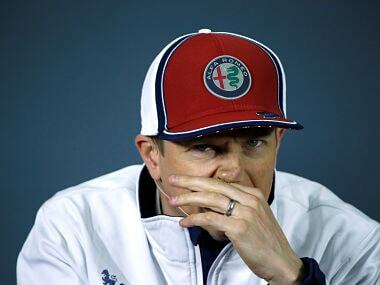 In fact, their inability to do so might be a blessing for Formula 1 and they could scout for different venues. Could we follow the Singapore model and host a street circuit? Yes, most of the city roads are incapable of serving our road cars, but this is a problem money can fix. Also, a street race might entice the crowds to witness the race, rather than traveling a few hours outside the city. If Formula 1 doesn’t, there’s a good chance that Formula E might capitalize on this model in India. By Indian standards, the Indian Grand Prix was very expensive — for Jaypee Group, the sponsors and even the fans. Formula 1 will have to work jointly with the local promoters to ensure that the eventual costs towards the fans remains in check and money doesn’t become the first barrier of entry. We remember how many fans equated the cost of attending the Indian Grand Prix to spending a weekend (or a few days more) holidaying at a relaxing destination in the Far East! Could Formula 1 reduce the race hosting fees for a developing market like India? It is not unusual for businesses entering new markets to do so with lower costs, build an audience and then work to increase their earnings? In this case, Formula 1 could learn from Amazon’s entry in India. Formula 1 needs to garner the correct support in India — the first stakeholder being the government, the second being the fans. The Government of India has different challenges at hand and Formula 1 won’t be on their primary (or secondary or even tertiary agenda). However, it would be for Formula 1 and the local organisers to work around the ministries and get the requisite support to host the race. 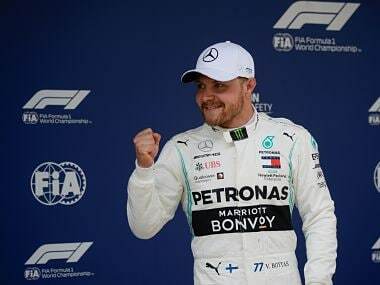 We’ve seen how Singapore, Melbourne and several other governments rally behind their respective races and similar support would be needed from the State and Central governments if the Indian Grand Prix was to have a sustained future. We need to strongly support and advocate the sport and the race when it comes to India. While the inaugural race was claimed to be a sell-out, the second and third edition didn’t see the fans flock to the race. This could be due to variety of reasons, one of them being ticket costs and second being the proximity of the race to the festival of Diwali. For fans in India, Formula 1 seems distant and the sport will need to work hard to involve them further and make them feel like the stakeholders of the Indian Grand Prix. The revival of the Indian Grand Prix seems more possible under the new owners, but the eager fans in India will have to be patient as they wait for the return of their home race. Reportedly, there are 40 more venues that have shown interest in hosting a race and then there is a limitation on the number of races that the sport can host in a season. But the best way to speed-up the return of the race would be to get our Prime Minister Narendra Modi to arrive at one of his political rallies in a Formula 1 car. But we have our doubts if it would be a Force India car!